With it being the start of September, there’s one thing on EVERY golf fan’s mind… The Ryder Cup! 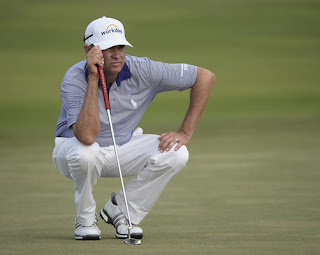 There has been a flurry of news coverage recently about Team RSM member and 2016 Team USA Ryder Cup Captain Davis Love III (who also happens to be host of The RSM Classic at Sea Island each year). The top eight members of this year’s Team USA have been confirmed. We are beyond excited that fellow Team RSM member Zach Johnson qualified for Team USA, and Team RSM member Andy Sullivan made the European team! Now, we’re anticipating who the four Capitan’s Picks will be. Who do YOU think Davis should select? Visit www.rydercup.com to read recent articles and learn the latest on all things Ryder Cup. With golf action on the mind, Zach is busy this week in Massachusetts for the Deutsche Bank Championship. Joining Zach on the course are a few familiar faces: past RSM Classic winners Chris Kirk (2013) and Kevin Kisner (2015). Teeing off at 9:27 a.m. ET, Chris started on tee No. 10; from tee No. 1, Zach starts at 12:52 p.m.; and Kevin isn’t too far behind at 1:28 p.m. from tee No. 1. Best of luck to all “our guys” this week! All of us with RSM hope you have a safe and wonderful Labor Day weekend. Be sure to check back next week as we share more about the 2016 RSM Classic (Nov. 14-22) and Team RSM.